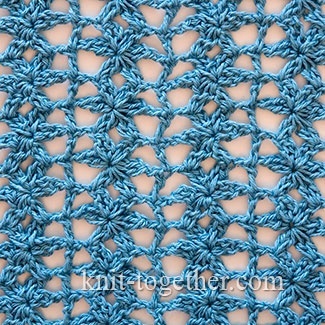 Unseparated crochet technique used in some crochet patterns. 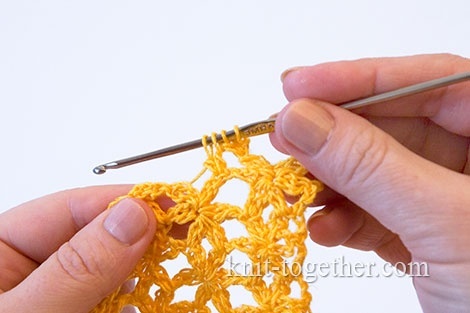 Crochet a flower consist of two parts: in one row we make two petals of the flower, and in the next row — four petals. 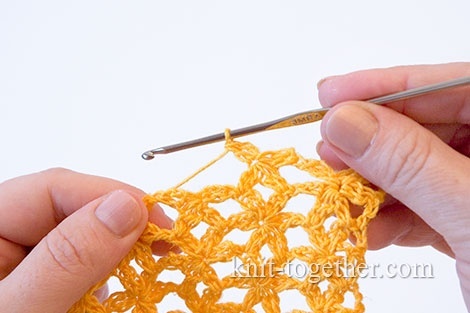 First two petals make easily: make 1 double crochet in the center of the flower of the previous row, then make 2 chains, 1 slip stitch in the center of the flower, 2 chains and then 1 double crochet in the center of the flower. 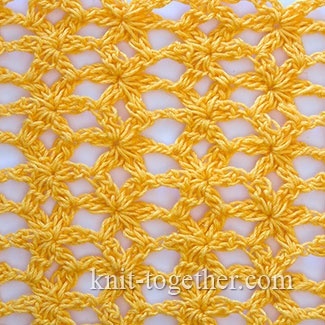 The center of the flower in the first row will the chain stitch of the initial row. Now let's see how to crochet the next four petals in the next row after two petals. Make 3 chains, yarn over and insert the hook in 3rd loop from the hook, grab the working yarn and pull it. Then again grab yarn and pull it through the first two loops on the hook. Now, on the hook there are 2 loops. Then, make yarn over, insert the hook in the loop of the petal of the previous row and pull the working yarn, then grab yarn and pull it through the first two loops on the hook. We got incomplete double crochet stitch. 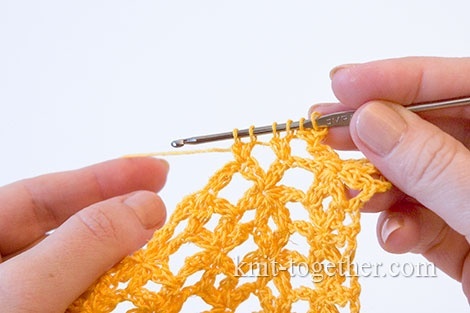 Again make yarn over and crochet the same stitch in the same loop. Now we have 4 loops on the hook. 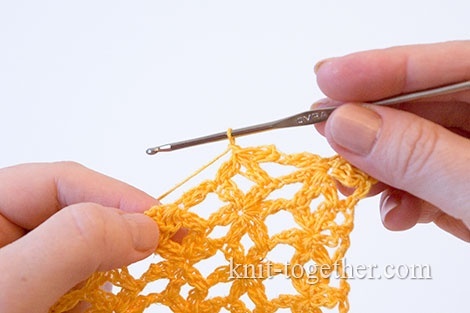 In the same way make 2 incomplete double crochet stitches in the next petal of the flower. And now, there are 6 loops on our hook. 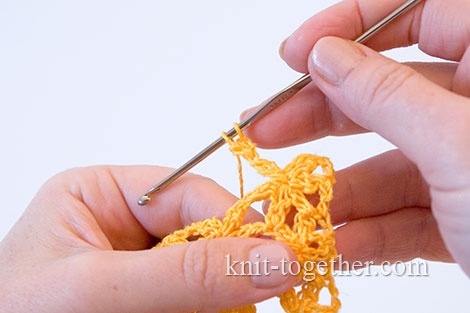 Now, grab working yarn and pull it through all six loops on the hook. Make a loop to fix the middle of the flower. We got 3 petals. Make 2 chain and then double crochet in the middle of the flower - it’s fourth petal.